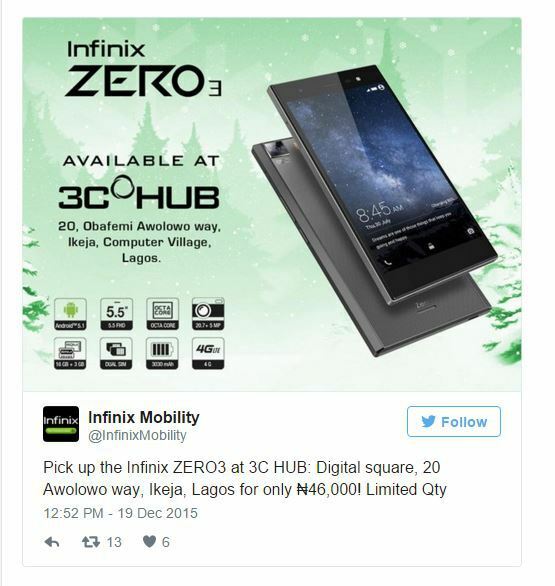 Wow, the long awaited infinix zero 3 that was launched 15th of December has been revealed. The phone is really amazing and i can make it known to you that it's another Infinix premium phone just like phantom-5. According to 3Chub, the phone goes for N46,000 naira. And i know Jumia price won't be costly from the figures above. With your N46,000 naira you'll have this amazing phone delivered to you.